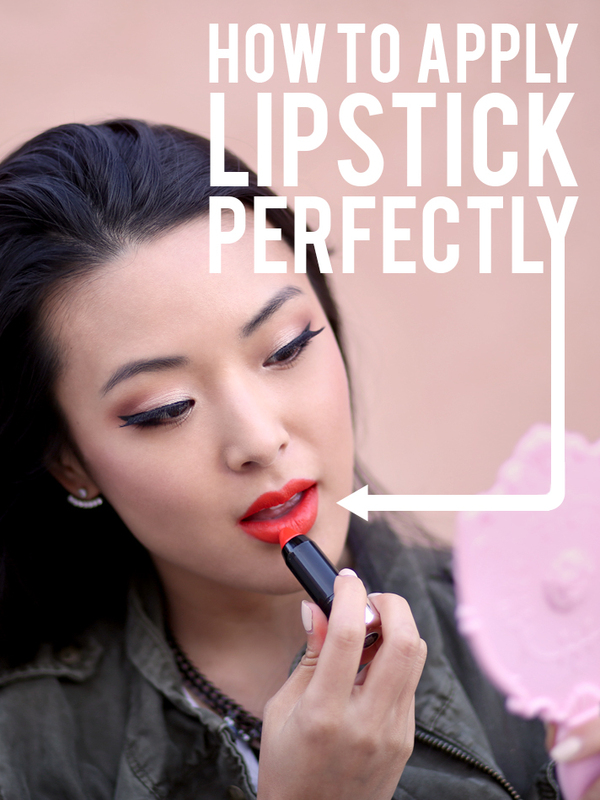 I bet you didn't know you were applying your lipstick wrong! Well, okay, maybe there's no wrong way to apply lipstick but I didn't realize that there was a technique until I was recently helping my lipstick-novice friend try a dashing new shade of scarlet and she asked "How do I apply it?" Woah. Lightbulb moment. 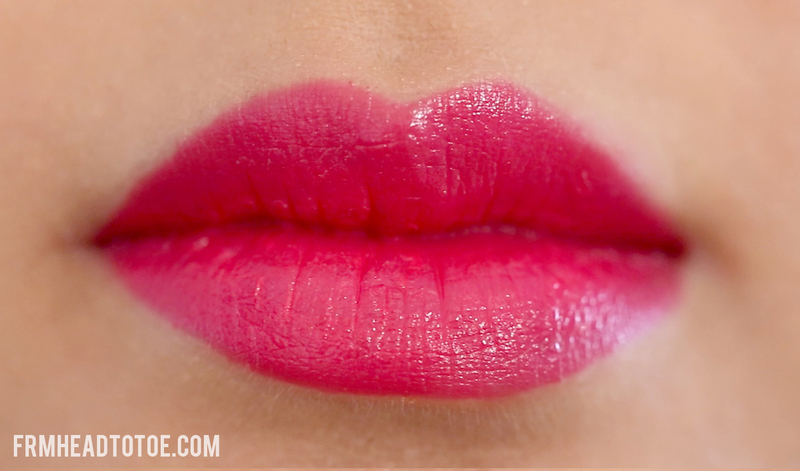 Bright lips take some serious planning to make application look perfect. 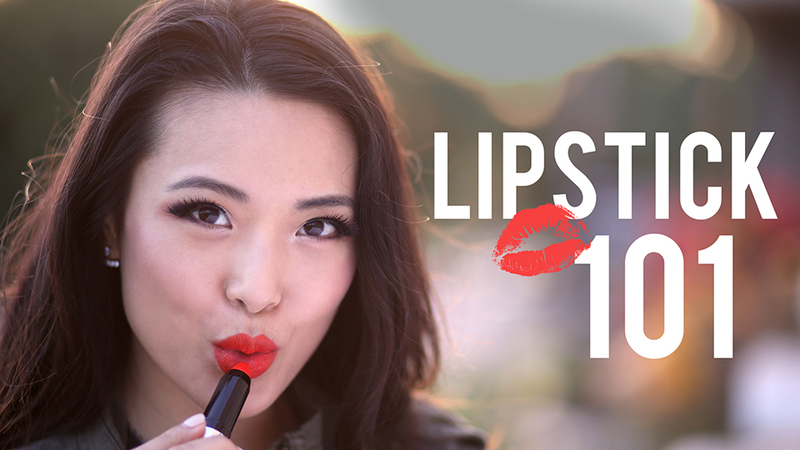 After years of experimenting with every lipstick shade under the sun, I took this fact for granted and completely glossed over the fact that there indeed are steps that make the process way easier! Therefore, my Lipstick 101 tutorial was born. (If you haven't seen the rest of my 101 Basics series, you can check them out on youtube or on the blog here.) Some of you might be like me and usually apply it straight from the tube but then need to amp it up on date night so I shared two different ways to have the perfect (and easy) lipstick application. Check out the video & swatches below! Here you can see my bare lips. The bottom one is slightly uneven and is lower on the right side. This is with the MAC VIVA GLAM Miley Cyrus lipstick (review & swatches), applied straight from the tube. I've drawn the lower lip line in so my lips look more balanced. 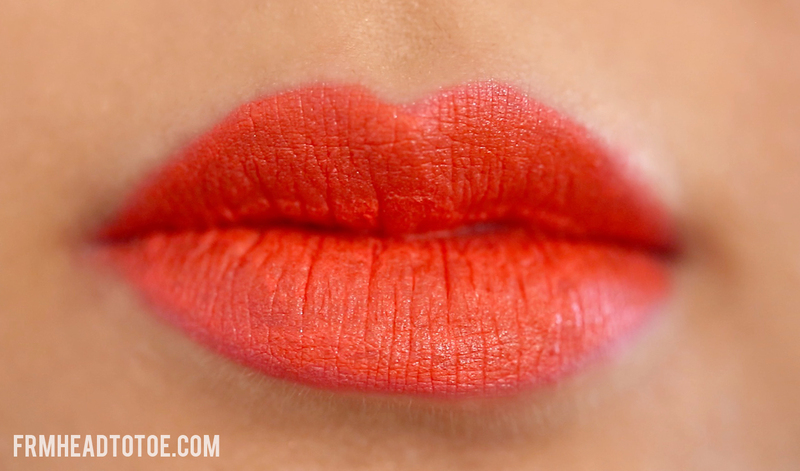 Here I used the Marc Jacobs Beauty Pop Kiss lipstick in Crush which is a favorite hot orange of mine. I prepped by outlining and then filling in my lips with Urban Decay lip pencil in Streak. I then used my tissue + powder trick to make it extra long-lasting. You can theoretically also use a clear lip pencil like Urban Decay's 24/7 in Zero which will work on any lip color to keep it from feathering, but using a similar color will give an extra layer of color when the lipstick itself starts to fade. Readers, do you usually apply lipstick from the tube or with a pencil and lip brush? What's your favorite bright lipstick? Let me know in the comments! I love to use the tissue and powder trick for the long lasting effect. Swears by it! Even after eating (carefully) my lipstick is still there. I like applying lipstick with a pencil then the product directly from the tube! Hi Jen! Do you have any tips for dry chapped lips? I've developped a habit of licking my lower lip, and it now has a lot of thick dry skin. I keep removing them but they grow back. I can't apply lipstick because either it makes them stand out, or after the removal the lipstick doesn't take. Thank you for your tips! mmm your tutorial is really helpful especially for teenagers. can you suggest some solutions for dry lips???????????????????????? ?